← Duelling Pianos – a Great Grown-Up Night Out on Broad Street! UPDATE SUMMER 2013: This cafe has now closed, although the hotel and restaurant Aalto are still going strong! Since opening in March 2012, Hotel La Tour has been bringing in great reviews for both its rooms and the Marcus Wareing inspired menu at Aalto restaurant. Aalto’s little sister, Café Ezra, has however been mainly passed by without comment. 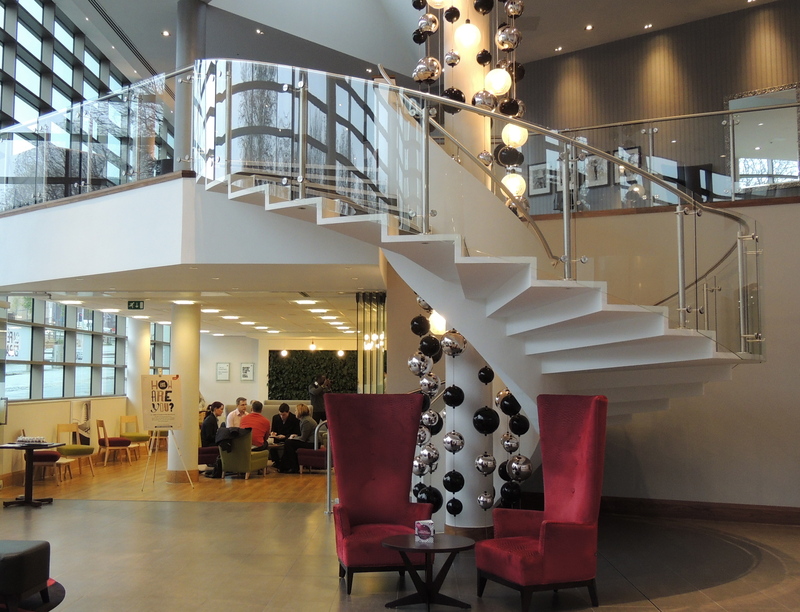 Tucked away under the glitzy spiral staircase leading to the bar and restaurant is the quirky and stylish café. Despite venturing to both the bar and Aalto many times since opening, we have only tried the café once, where we had superb coffee and cake. Following a re-launch and new menu this week, Café Ezra is growing up and moving out of it’s big sisters shadow to become a destination in its own right. The new menu is varied and has offerings that should appeal throughout the day. You can start with a light and informal breakfast with items like toast & local jams (£1.75), porridge, bacon butties – with the most amazing home made tomato sauce (£2.50), and pastries (from £1.50). 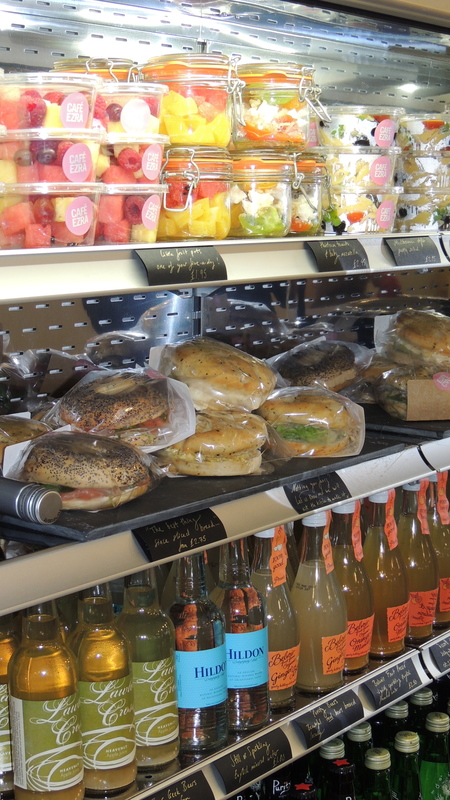 If you don’t fancy the almost obligatory mass-produced supermarket sandwich at your local convenience store you can pop in for fresh seasonal sandwiches (from £2.95) and fruit pots at Ezra. There are pre-prepared sandwiches for those on the run, or if you want something special and they have the ingredients they’ll make it there and then. If you’re after something a little less formal for your business meeting, or during a break from shopping at Selfridges just 2 minutes walk away, then may I suggest the grazing options. 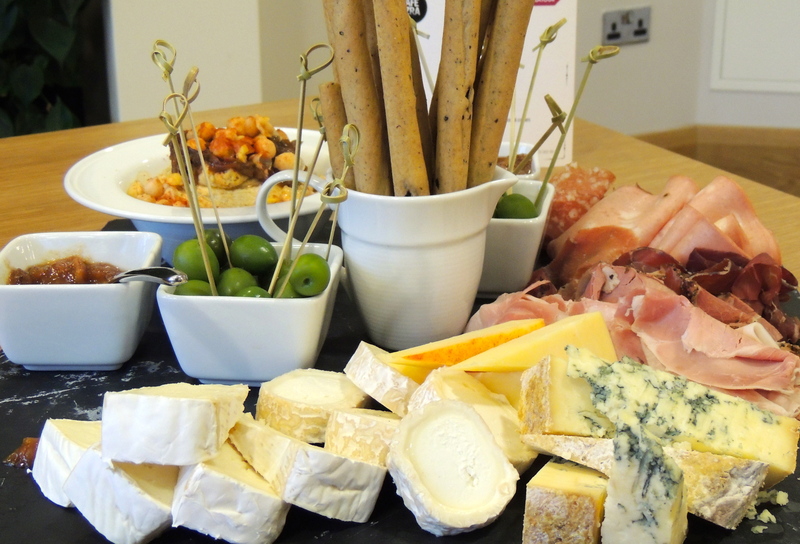 As well as olives (which I’m told are lovely) you can choose from a selection of British cheeses and chutney (£5.50), a board of cured British meats (£7.25) or just go for it and order “The Full Monty” containing both selections (£8.25). If you’re relaxing here during the day or evening – as I was lucky enough to be doing this week – then also new to Café Ezra is a range of beers, ciders and wine. I was very pleased to see that the booze selection included two offerings from the local Aston based brewery, Beer Geek, rather than the normal mass-produced lagers. The Golden Ale (aka “The Legend of the Golden Geek”) was particularly lovely. There’s a resurgence of ale producers all over the UK – you should all give it a go, girls included! Add to all this, the wonderful cakes (from £1.85), pastries, and fresh Illy coffee, and the team at Hotel La Tour might just be onto another winning combination. 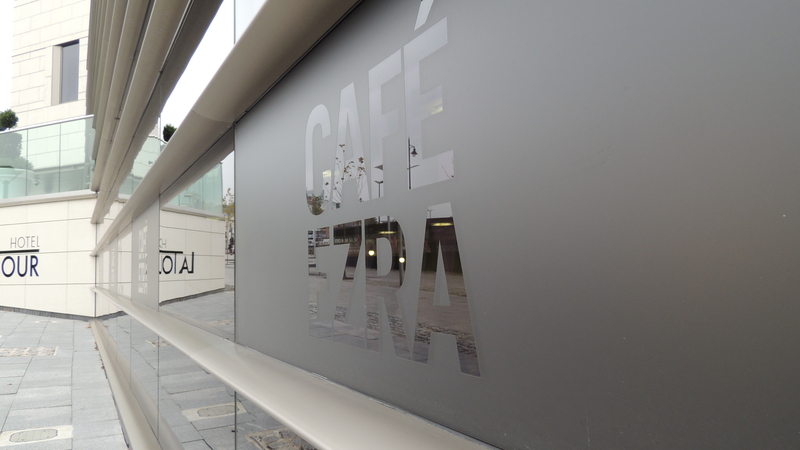 This entry was posted in Area: East Side, Area: The Bullring, Price: Cheap as Chips - Inexpensive, Venue type: Cafe and tagged birmingham east side, birmingham review, cafe ezra, cafe in birmingham, hotel la tour. Bookmark the permalink.